Connect the same image to catch as many fish as possible. - Stir in the sea horizontally / vertically to assemble the same kind of fish. 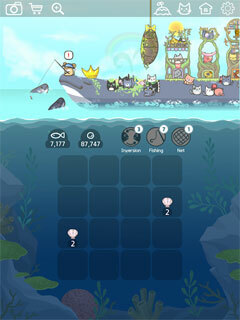 - Catch fish are used for island expansion, building construction, cat adoption. 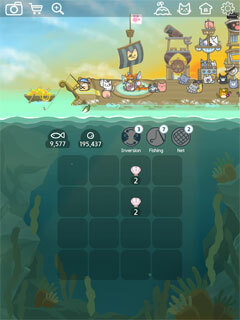 - If you catch the largest creature(2048, 4096, 8192...), you can move to the next island. - Adopt 50 unique cat species in each island! - Listen to the cats happily in Paradise you made with 2048 puzzles. 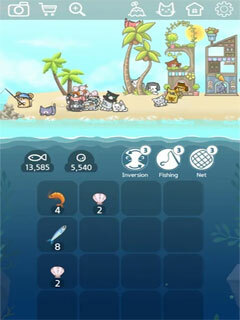 - Use fish or pearls to widen the island and build the building. - There are 7 buildings in each island. * In order to provide in-game advertisement and save screen shot, the following rights are required.